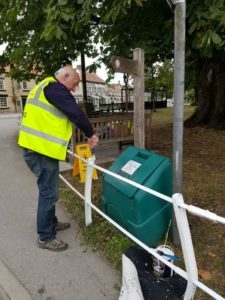 After the completion of the work on the railings on Maltongate and around the green, we are moving onto painting the railings by the grade 2 listed All Saints Church at the top of Church Hill. The paint will be black and paid for by the Parish Council. @2018 - thorntonledalevillagehub.org. All Right Reserved.